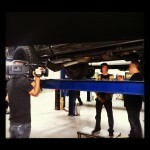 MagnaFlow’s Revolver Truck on PowerBlock TV… Feb 23rd & 24th, 2013! Meet Miss MagnaFlow At The Keystone BIG Show! MagnaFlow Diesel CUMMINS Video featuring X-Game Champion Ronnie Renner. Ronnie Renner comes to MagnaFlow to get the perfect exhaust for his CUMMINS Diesel truck. To learn more visit: http://www.magnaflow.com/diesel.